On Wednesday, January 22, Hope International University students will build a house to help support the mission work of AMOR Ministries. 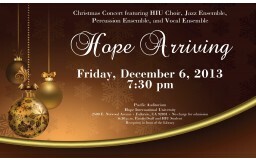 The house will be constructed in the HIU parking lot and then transported to the AMOR site in Mexico. 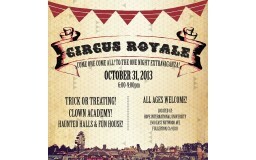 Men, women and children of all ages are invited to "Circus Royale," HIU's annual Halloween Happy House event. Free and open to the public, "Circus Royale" will run from 6:00 - 9:00 p.m. on Thursday, October 31. From October 10 - 13 two HIU students will be participating in the Security Council Simulation at Yale University in New Haven, Connecticut. For over 12 years, Hope International University has partnered closely with AMOR Ministries to provide homes for families in need. 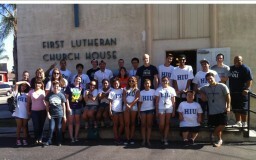 The annual Ministry Fair at Hope International University (HIU) is set for Thursday, September 12, at 10:30 a.m. and lasts until 2 p.m.
On Sunday, August 18th, Hope International University students and staff spread throughout Orange County to serve at 11 locations.